The animation below shows the motion of Comet Ikeya-Murakami on Nov. 13, 2010, captured with a New Mexico-based telescope operated remotely by NASA’s Marshall Space Flight Center. The images were taken near dawn and show the comet’s movement over a period of 45 minutes. 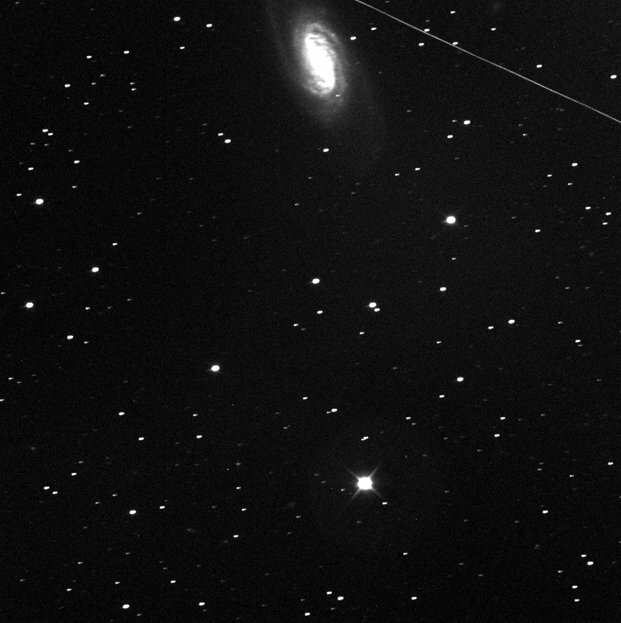 Each exposure was three minutes in length, and the faint angled streak around 0:10 in the animation is a satellite trail. At the time of these images, the comet was some 229 million miles away from Earth. Comet Ikeya-Murakami was discovered very recently on Nov. 3, 2010, by Japanese amateur astronomers Kaoru Ikeya and Shigeki Murakami. Their discovery is unusual because they both used manual observations through optical telescopes to identify the comet. Such observations are rare in recent times when astronomers use cutting-edge digital imaging to study the skies. Ikeya-Murakami is classified as a long-period comet, or those comets having eccentric orbits ranging from 200 years millions of years to make one circuit around the sun. Courtesy of Rob Suggs, NASA’s Meteoroid Environment Office, Marshall Space Flight Center, Huntsville, Ala.